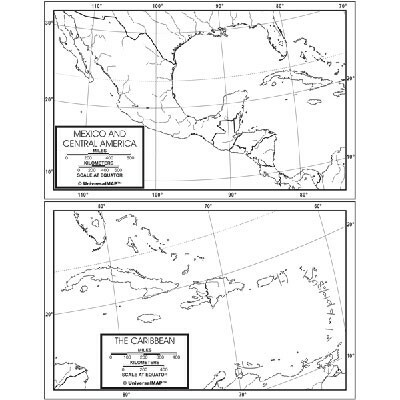 A 50 pack bundle outline map of Mexico, Central America, and the Caribbean. 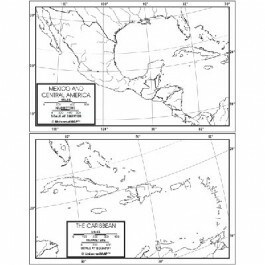 These maps contain outlines of the countries on a sheet about 8 1/2 " by 11". These 50 count bundles are geared towards educational institutions that require multiple copies.